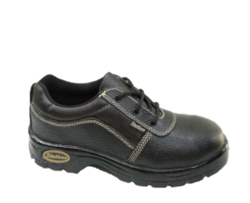 We are a leading Manufacturer of belly girls school shoes, hammer safety shoes, boys school shoes, ballet girls school shoes, sports school shoes and canvas school shoes from Mumbai, India. We have uniquely positioned ourselves as a reputed name in the market by offering quality assured gamut of Ballet Girls School Shoes. Our offered array is specially designed for school children. 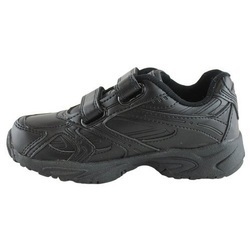 These shoes are light in weight so that children can wear them whole day without getting annoyed. Moreover, the entire array is available to our customers at very nominal rates. 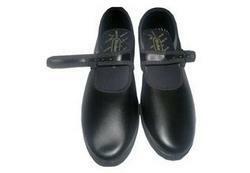 We are actively engaged in offering quality range of Boys School Shoes to meet maximum client satisfactions. These shoes are very easy to wear as it does not involve any laces. Moreover, the offered shoes are tested against many quality parameters to keep it as per set quality standards. Available in various sizes and designs, these products are offered to the customers at reasonable prices. We feel proud to offer quality assured gamut of Sports School Shoes. The offered array is specially designed for kids. These shoes are light weight, beautiful in design and durable. Moreover, our customers can avail these shoes at very affordable rates. Our customers can get these products from in various sizes and shapes as per their needs. Moreover, various quality checks are performed of the finished range to ensure international standards. 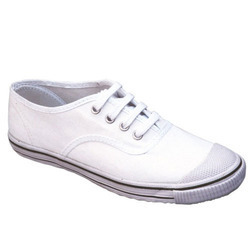 We have carved niche in the market by offering beautiful looking range of Canvas School Shoes. The offered array is manufactured with the help of quality raw material and available in customized forms. Moreover, these ladies footwear is nominal to buy, attractive to look at and light weight to walk. Tested against many quality parameters, this array is kept in compliance with global norms. 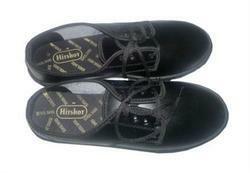 Girl School Shoes that are widely demanded for their durability and fine finish.